Every time the flagship GPUs from both sides launch, people are on the lookout for benchmark comparisons. 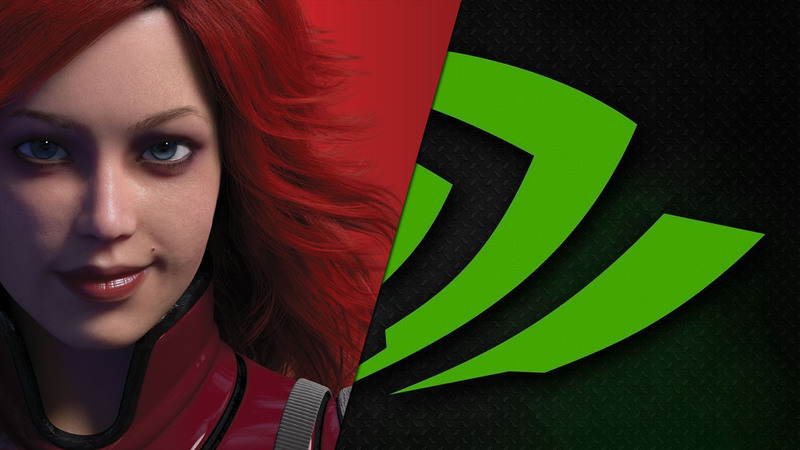 But perhaps nothing screams the ultimate showdown as much as not one, not two but four Nvidia GTX TITAN-X’s and four AMD Radeon R9 Fury X going head to head in a 4K (dare I say it) battle to the death. 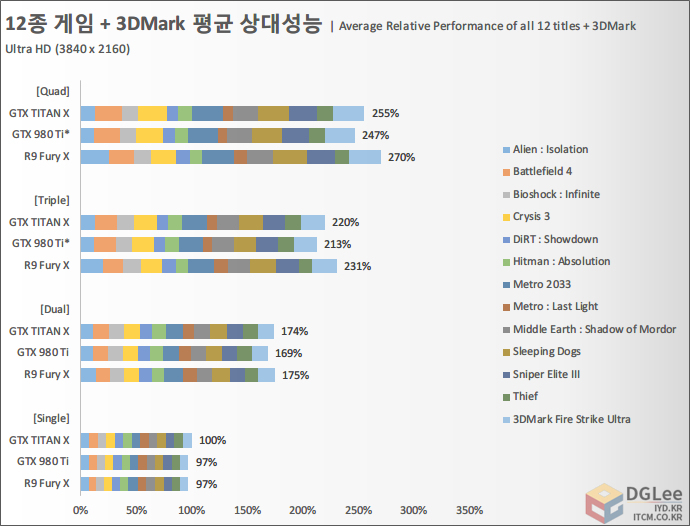 The benchmarks have been provided courtesy of DGLee over at IYD.KR. At 1080p, the R9 Fury is approximately 13% overall behind the TITAN-X and the green counterparts maintain their lead as the Crossfire or SLI scales with approximately the same aggregate performance in Quad SLI/CF. 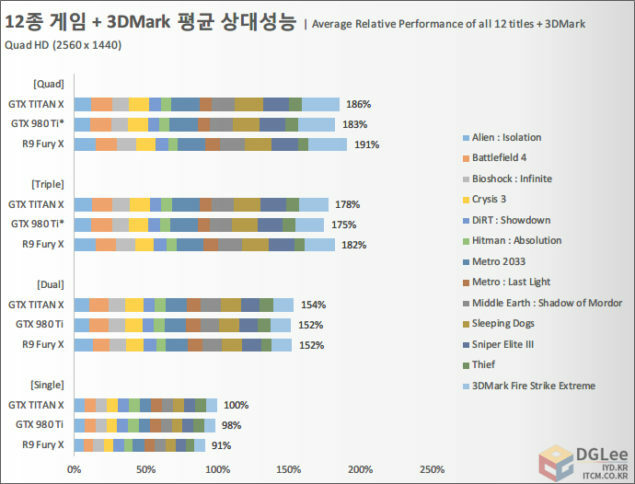 Something very interesting happened in these benchmarks. 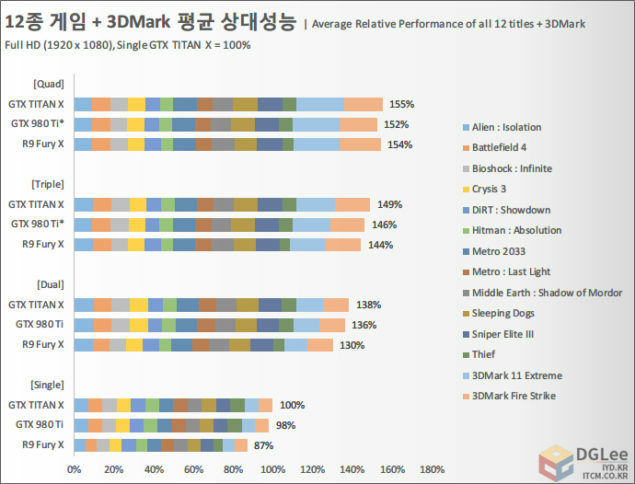 For one thing, we know that the Radeon R9 Fury scales much better than the Geforce counterparts upto and including Quad Crossfire, whileas the TITAN-X and the 980 Ti only scale well up to Dual SLI.